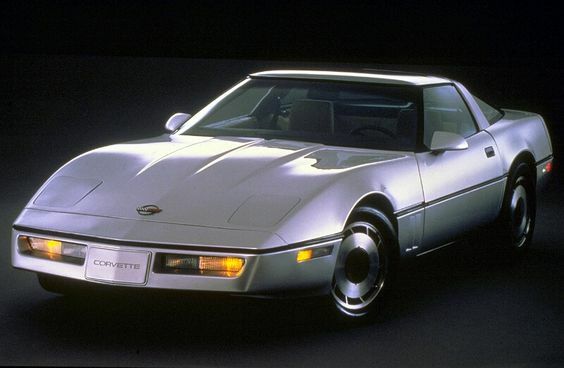 Chevrolet began their C4 Corvettes with the 1984 model. The early 1980s was a time of technological advancement across multiple industries. The company saw this trend and brought the same improvements to the iconic car with their 1984 model. They knew their customers were seeking innovation in various aspects of their lives and would soon expect the same standards from one of their favorite car companies. Designers at Chevy had a lot on their shoulders, crafting not only the first in a new line of Corvettes but a car that looked and handled better than anything that came before it. Chevrolet set out to make a Corvette that would fit into this new era of technology. Mechanically, the designers improved almost everything about the 1984 Corvette when compared to previous iterations of the car. All the vehicle’s instruments were now digital, the new suspension system now used composite leaf springs, and steering mechanics were a rack-and-pinion model for the first time. The engine gained several improvements that added to both its power and speed. While these changes made the car faster and more powerful, they also harkened back to the Corvette’s early years when the car used big block engines to gain acceleration quickly. These features and improvements made the C4 lineup a driving force in the automotive world, starting with the 1984 Corvette. The public, Corvette enthusiasts, and the press all greeted the arrival of the newest addition to the Corvette family with unrivaled enthusiasm. Chevy made changes to the overall appearance of the car as well. A larger interior, a more streamlined look and changes to the roof style helped to make the 1984 model the most drastic departure since the Stingray over twenty years prior. Chevrolet crafted an innovative Corvette that was at home in an age of innovation. 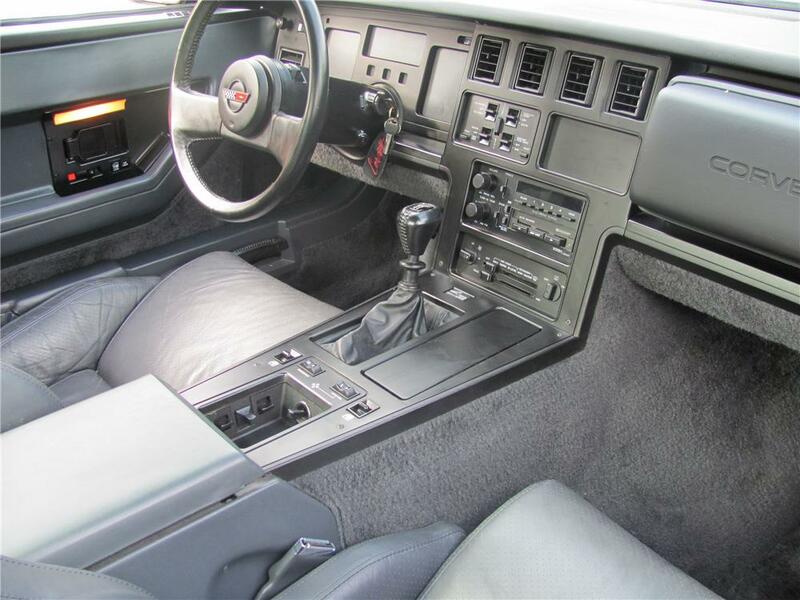 Because of the many tech improvements made to the 1984 Corvette, there was a bevy of new features to excite automotive enthusiasts. Interestingly, some of the most popular changes resulted from changes in emission regulations and other standards. While the Chevy company certainly wanted to produce a powerful engine for the 1984 model, they also knew they would need to design a car that met the emission standards of the day. Because an engine heavy on horsepower would likely result in a decrease in exhaust quality, the company shifted their focus. Instead of trying to add more horsepower to the 1984’s engine block, the designers sought to improve the way the car handled on the road. The 1984 Corvette received several upgrades to improve its driveability. Chevy offered a new performance handling package as an add-on. While previous model years of the Corvette, such as the collectible edition from 1982, already featured a hatchback roof design, this new era was the first time Chevy made it a permanent feature. The company reasoned that doing so would give drivers easier access to the storage space in the rear of the car. The designers also changed the way the hood functioned. This allowed Corvette owners convenient access to their engines and front suspension systems. Although it may have seemed a small improvement at first, the new headlight system still added to the functionality and beauty of the 1984 Corvette. Previous models had integrated headlights that would simply flip upwards when the driver activated them. This meant that the headlight’s top stayed the same regardless of whether it was in use. It also stuck out when activated, which added to the drag on the car. The new headlight design rolled out so that the cover became the headlight base when not in use. This change resulted in small improvements to the car’s aerodynamics. While Chevy strived to make all of their technical and visual improvements a positive thing, consumers met the redesign of the 1984’s interior with some criticism. Drivers noted that it was difficult to enter and exit the vehicle thanks in part to the low door sills. They also felt that the exhaust system made excessive noise. However, most consumers appreciated that the interior was larger and more streamlined than before. There are several options available if you need any help with this Corvette. The aptly named Corvette Forum is an online discussion portal for Chevy Corvette enthusiasts. Here, you’ll find not only news and advice related to Chevrolet’s latest offerings but a wealth of knowledge regarding older models as well. Online retailers stock various car parts compatible with the 1984 model year; in most cases, they can ship these parts right to your door. There’s also a wide range of technical guides online that can guide you through any maintenance process. Even with all the changes to the car’s body, fans still sought to improve the 1984 model or give it their own unique spin. Today, aftermarket upgrade options are still popular with 1984 Corvette owners. Because of the broad changes to the body of the car, owners wanted the option to swap out the body panels or add different fenders. 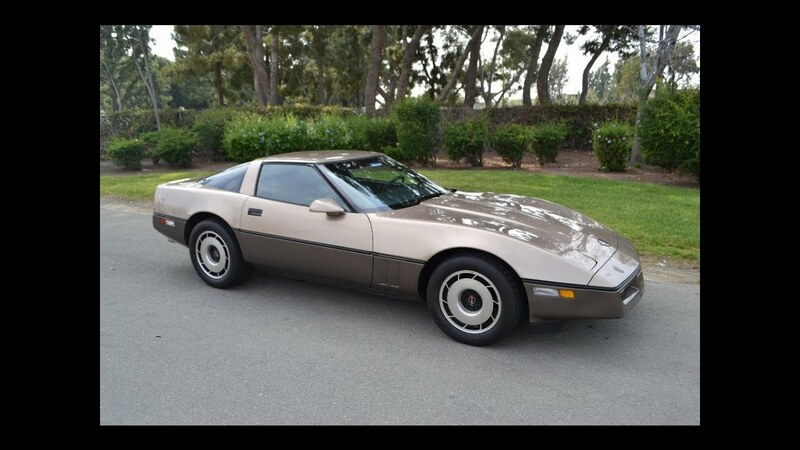 In particular, many users liked having the freedom to add different bumper designs to their cars as the 1984 Corvette featured integrated bumpers that essentially hid them from view. Online retailers such as Zip-Corvette specialize exclusively in Corvette parts including those that fit the 1984 Chevrolet Corvette. Fans and the public responded to the 1984 Chevrolet Corvette with enthusiasm despite some minor complaints. Most consumers were glad for the opportunity to purchase a Corvette that was such a departure from previous designs and showcased how it could integrate the new technologies of the day. The hype over the 1984 gave Corvette its second highest sales record in company history. If you own or are interested in the 1984 Chevrolet Corvette, feel free to share your opinion below.